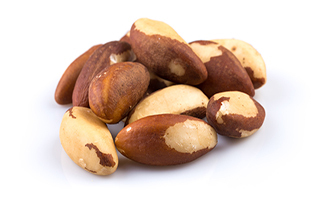 Are Brazil nuts better than supplements for boosting cancer-fighting selenium levels? In the past, I've mentioned that I like to eat a couple Brazil nuts most days to boost my dietary zinc levels. 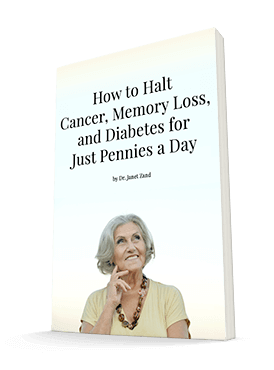 But there's another nutrient you can get from these nuts that can protect you from cancer and other diseases. That nutrient is selenium, an essential trace element. "Essential" means that you have to get a small amount of this mineral from your diet in order to function optimally. Selenium supports a healthy metabolism, and its antioxidant properties have been linked to reducing the risk of cancer and other diseases. Selenium inhibits the oxidation of fats as a function of the enzyme glutathione peroxidase. This is one of your body's most powerful antioxidants. Then, when you combine selenium with vitamin E, it helps to protect the immune system. It also regulates the effects of thyroid hormone on fat metabolism. While we need only small amounts of selenium, sometimes it is hard to get enough through diet alone. To avoid a deficiency, some people take a supplement. However, researchers in New Zealand found that a supplement may not be necessary. In this study, the researchers compared the effects of selenomethionine supplements and Brazil nuts on the selenium status of 59 participants who had low selenium levels. The researchers divided the participants into three groups. They gave one group a placebo. They had the second group take a selenomethionine supplement containing 100 micrograms of selenium every day. And they had the third lucky group eat two Brazil nuts every day. The researchers measured the participants' blood levels of selenium before they began the study and again at two, four, eight, and twelve weeks. By the end of the study, the selenium levels of the placebo, supplement, and Brazil nut groups had increased by 7.6%, 61.0%, and 64.2%, respectively. The supplement worked. But the Brazil nuts worked even better. In fact, the researchers found that the participants didn't even need to eat two Brazil nuts. Just one was sufficient to raise selenium to recommended levels. So if you're concerned that you might have low selenium levels or you just want to enjoy a snack with some added benefit, give Brazil nuts a try. Remember to chew them well. I love them. In addition to selenium, they're full of healthy fats and are rich in vitamin E, magnesium, zinc, and B vitamins. They're also a source of protein, so they're a great choice if you're looking for an energy boost during the day.